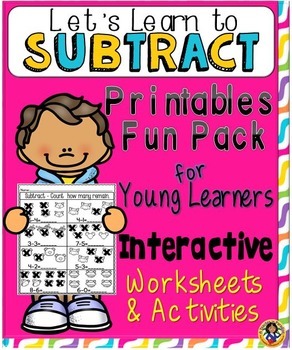 Subtraction can sometimes be a difficult concept for our young learners to master; this pack was created for my Kinder students but can certainly be used for first graders. 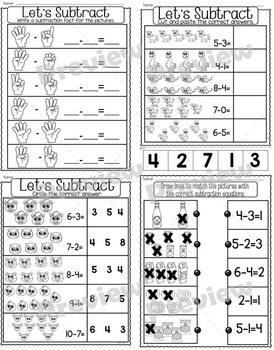 This packet is full of fun printables that will help your students learn subtraction skills within ten. They will subtract pictures, draw objects to represent equations, color by number, cut and paste, trace and color, match, and so much more! 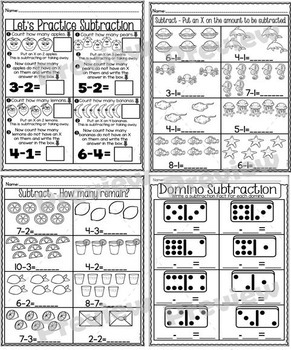 The pack consists of 58 differentiated pages for the various learners in your class with most of the pages being picture supported. 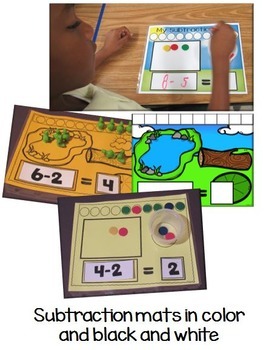 There are also two subtraction mats which are provided in both color and black and white; having visuals greatly help with the subtraction process. If you have a Promethean Board in your classroom there is also a matching flipchart available that includes this set of printables. Get a free sample by clicking the link below.